Cut the rope to feed candy to little monster Om Nom®! 400 million downloads around the world of this phenomenal puzzle game. 350 levels and more to come! A mysterious package has arrived, and the little monster inside has only one request…CANDY! 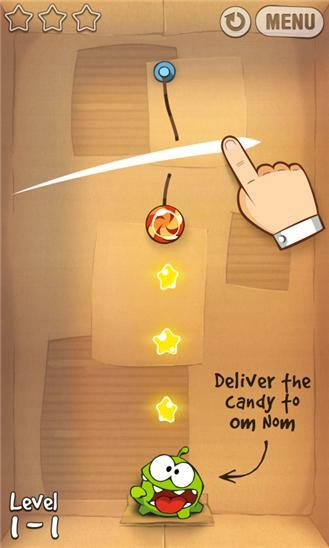 Help get the candy to Om Nom, the lovable star of the game, in this highly innovative and addictive puzzle game. 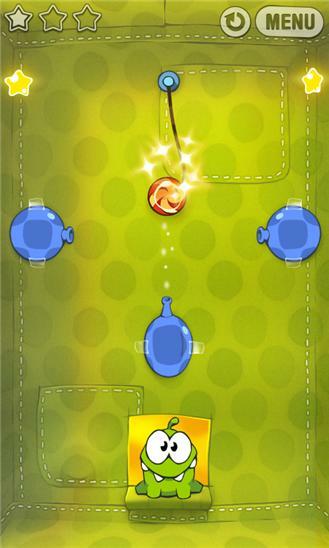 Combining outstanding physics, devilishly tricky levels, and bright colorful High Definition visuals, Cut the Rope is one of the most original and fun-filled games in the Windows Phone Marketplace!